What’s your favorite Greek dish? Greek salad. 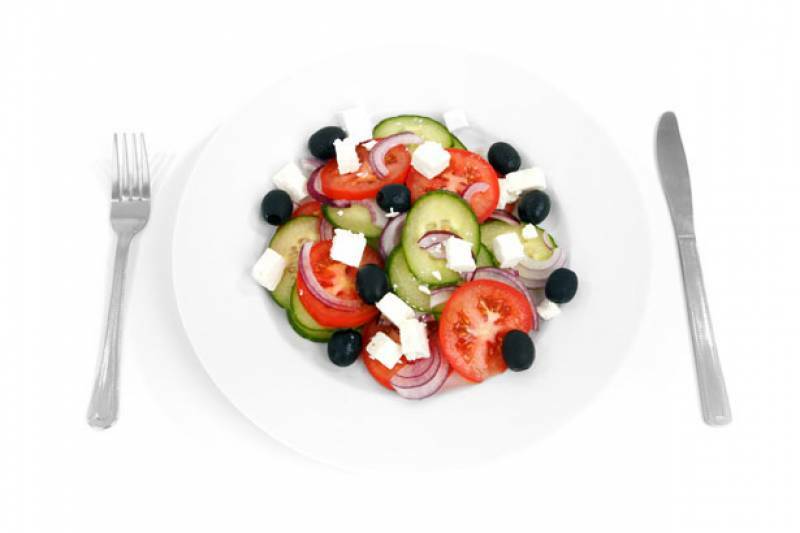 Ask any traveller what’s the first dish that comes in their mind, when they think of Greece and they will say Greek salad, aka horiatiki – well maybe moussaka, but the salad will definitely be number two. Why? Mouthwatering taste and refreshing for the hot days of summer, so you will find it in every mountain tavern, Mykonos gourmet restaurant and every Greek home night and day. It can stand as a stand alone light dinner and also as a side dish. But what is horiatiki? There are many variations, but the original thing contains only of these ingredients: Tomatoes, cucumbers, red onions, olives, feta cheese, green bell peppers, extra virgin olive oil and dry fragrant oregano. How to serve: Put it in a swallow bowl and always have next to you bread and vinegar for the absolute taste. And that’s it. Authentic Greek meal! Of course, this dish, as every other, changes throughout Greece. You may find many additions in the variations you’ll meet, depending on the location, the restaurant, the local products and the type of cuisine. All of them are tasty as hell, but have in mind that original horiatiki does not have any other vegetables, so lettuce, colored peppers and caper leaves are extra. Also, especially in Crete, you may find it accompanied with paximadia instead of bread. So, go for it once you step on a Greek island, or try it home if you can have fresh and authentic stuff. It is the best you can do for a tasty, but also healthy meal. This salad is exactly what Mediterranean cuisine is about. Virgin oil, vegetables full of antioxidants and feta. What else you should know? A bowl of horiatiki salad has approximately 500 calories. Only! But before you get to taste it this summer, you’d better get down to choose your favorite Mykonos luxury villa.